I've got enough hoop earrings!...said no one...ever! This essential hoop earring is perfect for everyday wear. 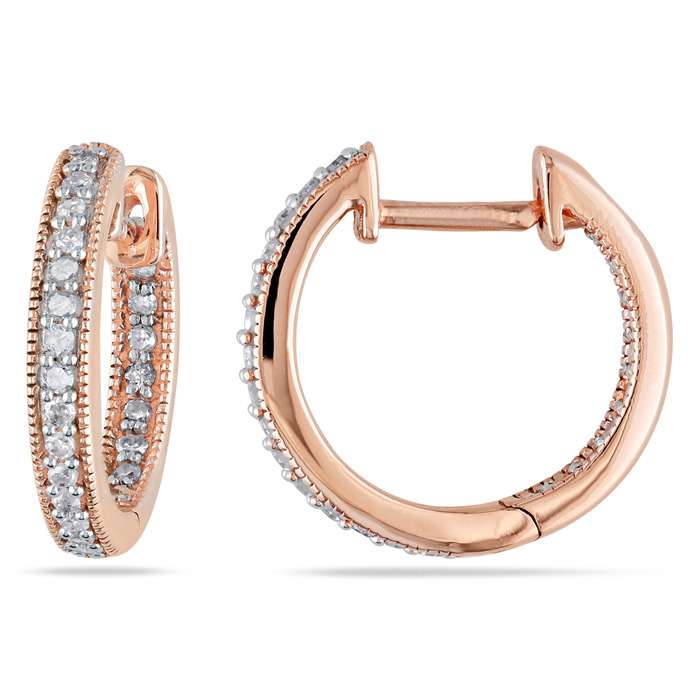 The warmth of rose gold adds that extra oomph to a fresh face look and what's a hoop earring without diamonds....that's elegance 101.